Florida's share of the nation's foreclosure crisis increased during the fourth quarter of last year compared with the same time in 2010 as other hard-hit states, such as California, shed some of their housing burden. According to a report Thursday by the Mortgage Bankers Association, Florida carried 24.2 percent of the foreclosures nationwide, up a percentage point from the end of 2010, while California's foreclosure share dropped nearly 3 percentage points to 10.2 percent. 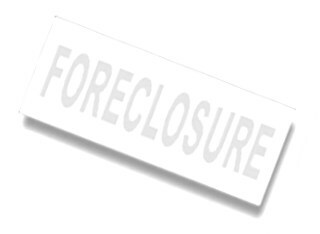 Economists from the Washington-based group attribute Florida's stubbornly high foreclosure inventory to its judicial foreclosure procedure, which requires a judge's approval for all cases. California is one of 29 states where repossessing a person's home does not have to go through the courts. "The housing situation in California is turning around much more quickly, and we attribute that to the non-judicial regime," said Michael Frantantoni, vice president of research for the Mortgage Bankers Association. "A small minority of states is keeping the foreclosure rate much higher than it would be otherwise." About 14 percent of Florida home loans are in foreclosure, by far the highest in the nation. New Jersey comes in second at 8.2 percent. Of the 16 states with the highest percentages of foreclosures, all but Nevada require a judicial proceeding. The fight to streamline Florida's foreclosure system and more quickly clear its backlog of an estimated 368,000 cases is raging in Tallahassee, where homeowner advocates rallied Thursday against a bill they fear will reduce homeowner rights. The proposal (HB 213), which would reduce the bank's deadline to seek a deficiency judgment from five years to two years, has passed through two House committees. It is scheduled to be heard next in the House Judiciary Committee before going to the full floor for a vote. Rep. Kathleen Passidomo, R-Naples, is co-sponsoring the bill with Rep. Greg Steube, R-Sarasota. A similar Senate bill (SB 1890) has not been voted on in committee but is scheduled to be heard Monday by the Senate Judiciary Committee. Passidomo has said the proposal keeps the judicial process but allows uncontested foreclosures or those on abandoned homes to move more quickly through the system. Opponents say it is more harmful than that because it allows process servers to determine whether a home is abandoned and puts the burden of proof on the home-owner as to why the foreclosure should not go through. "The Passidomo bill does not guarantee the rights of citizens," said Boca Raton foreclosure defense attorney Margery Golant. "On the contrary, it allows the mortgage servicers more latitude to trample on the rights of citizens." The Mortgage Bankers Association report did have some good news for Florida. The percentage of homeowners who had missed at least one mortgage payment but were not yet in foreclosure was at 8.63 at the end of the fourth quarter, down slightly from 8.97 during the previous quarter. Florida's peak delinquency rate was 12.66 percent in 2009. Nationally, the mortgage delinquency rate is 7.6 percent. That's down from 8.2 percent from the same time last year and from a peak of 10 percent in early 2010. The long-term pre-recession average delinquency rate was about 5 percent. "The improvements we've seen are clearly tied to the improvements in the economy," said Jay Brinkman, chief economist for the association. "If anything, the delinquencies are improving faster than we are seeing the job market improve."